Davido has again reacted to allegations that he slapped Kizz Daniel’s manager, Tumi Lawrence at his City of David concert at Oceans View Ground, Eko hotel, which held last week. 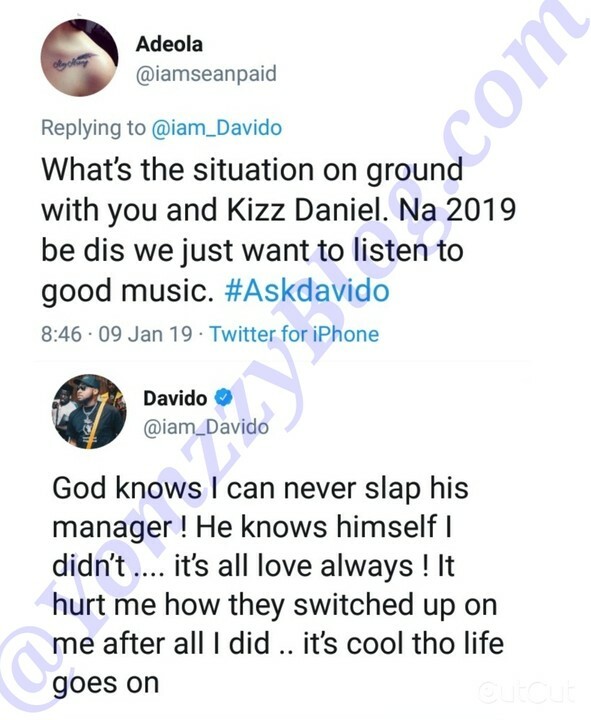 In his response on Twitter a few minutes ago during a question and answer session with his fans, Davido said he didn’t slap him. But, But, Do You Believe Davido?